All-purpose, center-cut jaws for soft, medium, and hard metals. 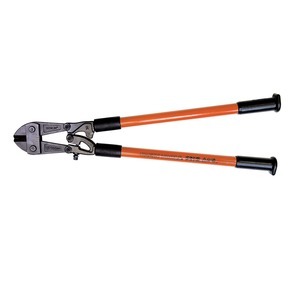 The orange fiberglass handles have heavy vinyl grips with flat grips ends for 90?? cuts. One adjustment realigns cutting edges. Handles have heavy vinyl grips with flat grips ends for 90 DEG cuts. All-purpose center-cut jaws for soft medium and hard metals.